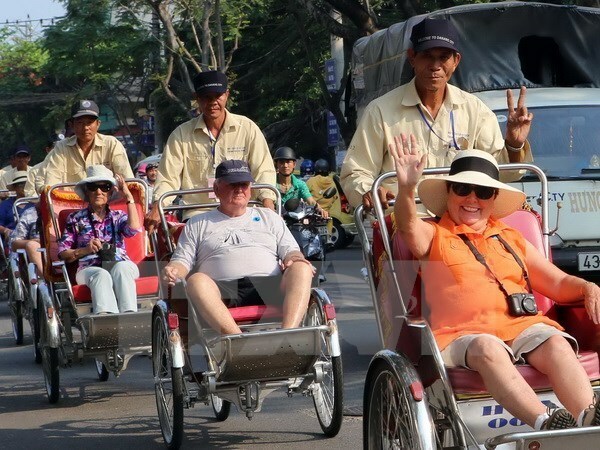 Hanoi (VNA) – Vietnam welcomed about 6.5 million foreign visitors in the first eight months of this year, a year on year increase of 25.4 percent, according to the National Administration of Tourism. The sector earned over 265 trillion VND (12 billion USD) in the period, up 22.5 percent against the same time in 2015. There was a jump of arrivals from Hong Kong and China with a 92.8 percent and 57.9 percent increase, respectively. There has also been a rise in the number of visitors from the Republic of Korea up 37.6 percent, Thailand 34.9 percent, Italia 31.8 percent, Spain 27.6 percent, Laos 26.6 percent, the New Zealand 26.4 percent, Russia 25 percent, and Sweden at 24.3 percent. The number of domestic holiday-makers from January to August was estimated at 43.1 million. The country received about 899,738 foreign investors in August, up 6.3 percent from July and 34.4 percent higher than the same period last year.